Unsurprisingly, more evidence is emerging all the time of fraud perpetrated by criminal gangs against law firms who do not manage transactions involving financial transfers securely. This article, published in The Times on Friday 4 September, highlights some of the causes. As ever, one of the root causes is the use of email to transfer confidential information. Law firms should be insisting that their clients do not allow any sensitive or potentially high-risk information to be carried by email. The article referred to above highlights yet another instance of theft through email penetration. However, 70% of UK law firms still use email to communicate confidential information, risking their not only clients’ funds but also potentially their own existence. Safe4 have gone to great lengths to provide a service which offers completely confidential transfer and storage of information. As well as being SRA-compliant, all Safe4 information is held in UK-based data centres that are accredited to the ISO 27001 security standard. If you would like more detail on how Safe4 can assist with the secure handling of critical information, please contact us. We will be delighted to speak with you. “An investigation conducted in London has shown the ease with which personal data can be hacked when the target is using public Wi-Fi. Security and privacy software company F-Secure teamed up with penetration testing expert Mandalorian Security Services and the Cyber Security Research Institute to conduct the test – in this case, hacking into the devices of three politicians. It is important to note that when using Safe4, all interaction with our service is fully encrypted, including the internet link from your device. Even when using public Wi-Fi, Safe4 communications cannot be intercepted – as opposed to the huge risks that exist when using open email systems. https://www.safe-4.co.uk/wp-content/uploads/2014/08/safe4badge.png 81 81 Ben Martin https://safe-4.co.uk/wp-content/uploads/2014/12/Safe4-Logo1.png Ben Martin2015-07-10 18:55:072015-07-28 20:19:00Beware of public Wi-Fi! 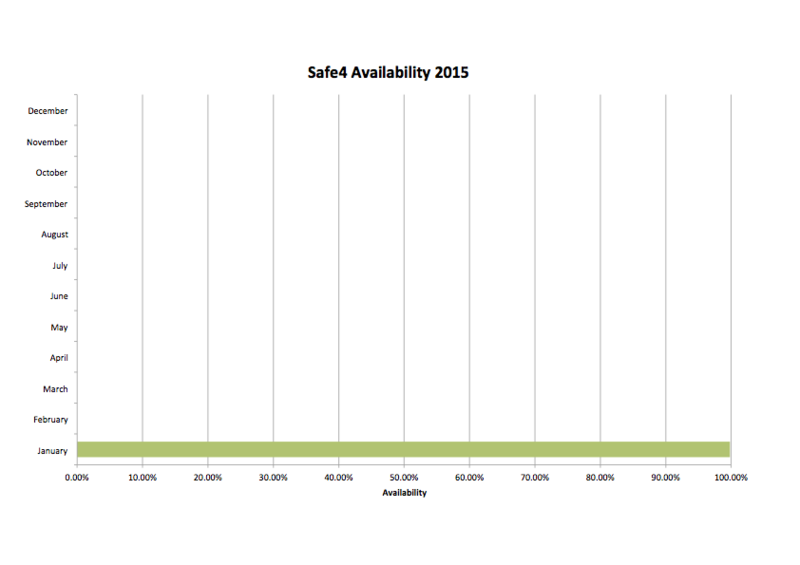 June 2015 proved to be another successful month for Safe4, with a record number of new users registering for the service, and 100% availability once again. The uptime record of Safe4 is now amongst the best in the industry, and coupled with very high levels of security this makes Safe4 the ideal choice for any organisation that needs to deliver information securely to parties both internally and outside its own IT domain. For more information on how Safe4 can help you to achieve total security combined with 100% reliability, please contact us. We will be very pleased to assist. 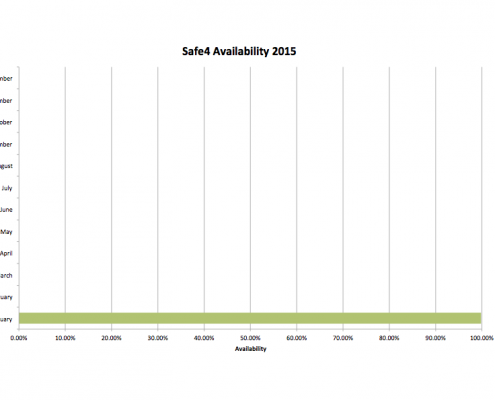 During January 2015 Safe4 maintained 100% availability of the service except for a short period when our hosting partner applied a critical security patch to the infrastructure. Since we take the security of our customers’ information very seriously it was felt that applying this patch was essential. The downtime was scheduled for overnight at a weekend, so it is hoped that it did not impact any of our users. Please accept our apologies if you were unable to access the service during this time. 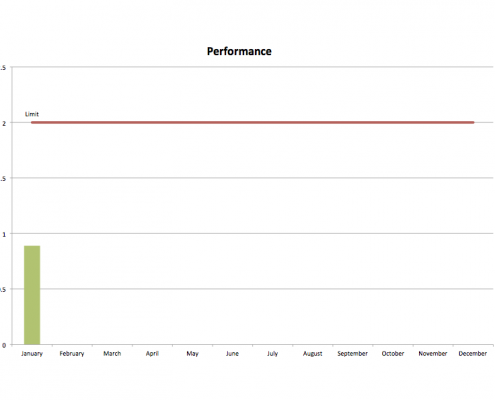 We hope you are pleased with the performance you are seeing when using the system. In order to help target improvements Safe4 tracks the time taken to display pages in the system. Since there are a number of factors that can cause performance problems we have implemented an approach which measures the time it takes for you to be able to use a page. This is the most realistic measure we can find. When developing Safe4 the team treat any page that takes longer than 2 seconds to load to be a defect. This is our performance target. We are pleased to advise that during January the average (median) page load time experienced was 0.89 seconds. 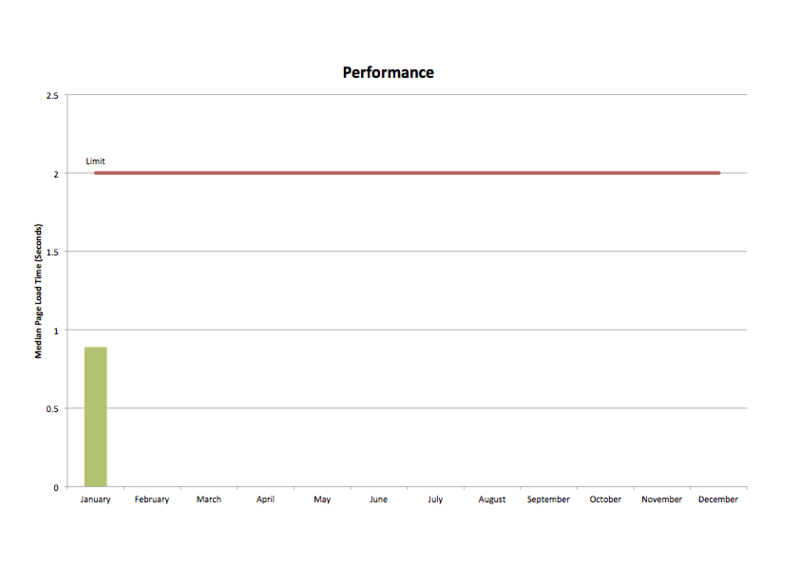 This is well under our target so it is hoped that we are meeting your performance expectations. If we examine individual geographies we can see the impact of the internet on the performance. Performance in the UK, where our data centre is based, is averaging out at 0.78 seconds. Performance in South Africa is averaging out at 1.5 seconds, despite the extra network connections we are pleased to be getting great performance here. The slowest average performance at 1.6 seconds seems to be for users in the United States where increased network delays seem to be adversely affecting performance. Safe4 will continue to monitor performance and availability of the service to ensure that we meet the demands of your businesses. Look out for updates to these charts in the coming months. Recently a number of customers, particularly in the Legal sector, have been asking for assistance with producing an index of all of the files in a vault. Discussing the reasons behind these requests with our customers has shown that while the folder structure is a convenient way to manage the contents it can make it hard to get an overview of the complete vault. This problem is exacerbated as our users have gained confidence in the usability and security of Safe4. The service is being used for increasingly complex projects and matters involving larger numbers of participants. Safe4 customers are building increasingly large folder structures and using the advanced security and encryption capabilities in the system to store ever more files – some vaults now have over 100 folders and some contain in excess of 10,000 files. While the Safe4 servers are more than capable of handling these large vaults – their very size can make it hard for the users to understand the complete vault and to focus their attention where necessary. To assist with these situations Safe4 are pleased to announce a small new feature that enables Provider users to quickly produce an index of files in a vault. Accessible from the Action menu on the Clients page, this function produces a simple index of all of the files in a vault in a format that can be saved as HTML or copied into Excel for further processing. This new feature is available in Safe4 today. The index function respects the security established in the vault – so a user producing an index can only see those files they are entitled to view. We are very pleased to see our customers make increasing use of the secure distribution, collaboration and storage facilities in Safe4. Features, such as the new vault index function, are especially important as they are the result of feedback from our users. We hope that this new capability in the system makes Safe4 simpler for users working with the large volumes of critical information produced in many projects. Later updates to the system will make this functionality available to Client users, and will simplify the process of exporting the index to Excel. Valeos was created by David Ross in 2014 to bring a range of value-added services to organisations wishing to refresh or extend their offerings. David has long experience in the insurance industry, and is currently working with a number of insurers who are seeking ways to expand their services. Valeos are based in Leeds, one of the UK’s leading centres for financial and professional services. Yorkshire-based media have also covered this development, click here for more information. Pitmans LLP of Reading, London and Southampton looked for secure online document delivery to be a key component in the continuous improvement of their market leading property and conveyancing solutions. Pitmans New Homes adopted Safe4 to give them speed and reliabilty of document delivery in compliance with regulatory requirement and best practice. They saved money too! Now Safe4 is being rolled out more widely within Pitmans. A case study has been written to provide more details on how Pitman’s benefits from Safe4. New legislation will shortly be putting pressure on many organisations to reduce their carbon footprint. This applies to small and medium-sized companies too, if they are suppliers to either public-sector organisations, or corporates that fall within the scope of the UK Carbon Reduction Commitment requirements (annual energy expenditure of more than £500,000, or listed on the LSE main exchange). But before any organisation can start to think about reporting on their carbon footprint, they must of course measure it – what is the starting point? This will almost certainly involve the need for specialist skills and tools – hence the importance of the partnership between Safe4 and Co2conut. Safe4 can assist with bringing down carbon emissions by reducing dependence on paper and hard-copy information deliveries; Co2conut can provide expert guidance, and access to tools that will help with the accurate measurement of current emissions. How does this issue affect your business? We would be glad to hear from anyone who has a view on this issue – please post your blog entry below. Getting critical documents to clients can be time-consuming and costly. Especially when the client is a Trust, with Trustees that work in different environments and don’t have access to common IT systems and resources. Correct, secure storage of documents is very much dependent on how well organised each of the Trustees is. And, of course, sharing documents between Trustees can be a real challenge. Manningtons, Chartered Accountants in Heathfield, East Sussex, have come up with the answer. They have started to use Safe4 on behalf of the Heathfield and Waldron Millennium Green Trust, and are now able to deliver documents instantly to all members of the Trust by simply placing a document into the web-based Safe4 vault. This gives immediate access to all of the Trustees, and informs them by email that a new document has been delivered. Once in the vault, documents can be moved between folders to indicate whether they are Work in Progress, Approved, or Archived, and accessed at any time by members after entering a secure login and password. Alan Staples, senior partner at Manningtons, is one of the Trustees, and is seeing the opportunity to greatly improve the way the Trust manages its documents. The Millennium Green Trust is one of a number of clients who are now using the Safe4 service through Manningtons. Saving money and making the communication process faster and easier – that sounds like a great way forward.